This review has been a long time coming. Ever since I found out about Mr Eion, a coffee roaster and retail shop in Edinburgh, I’ve been attempting to hunt some down. But for whatever reason, every time I have been in the vicinity the shop has been closed. So, recently, I tried a different approach: I sent Eion a message on Twitter, asking if I could order some coffee to be posted up to the lonely north east. He was very accommodating, and a few days later a delicious-smelling parcel arrived at my door. Then, a few days after that, Mr Eion’s brand-new online webshop launched. Brilliant. Never mind, I had my coffee. 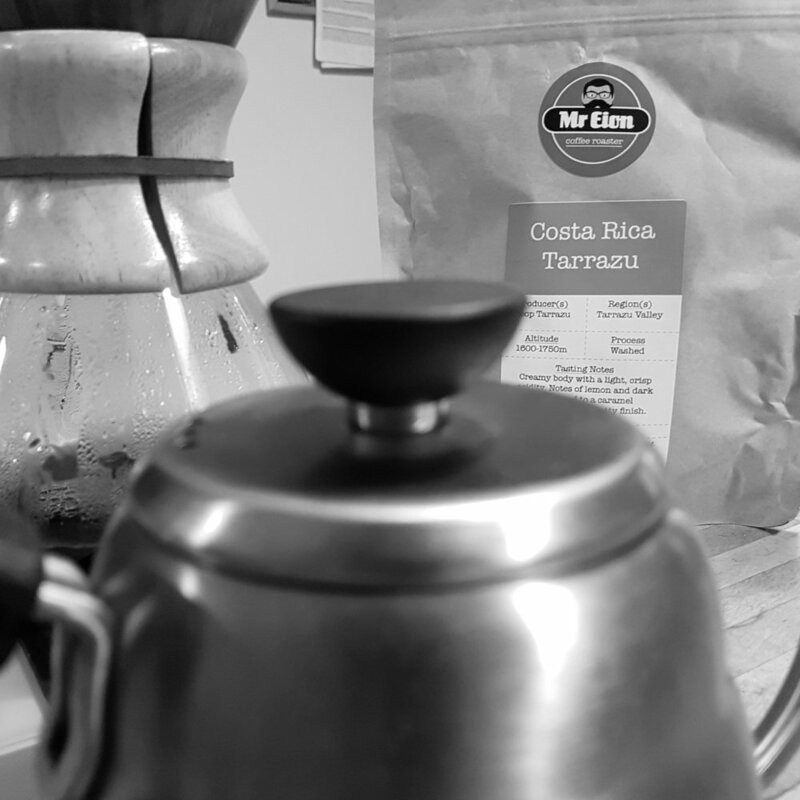 I chose the Costa Rica Tarrazú due to it holding a special, nostalgic place in my heart. 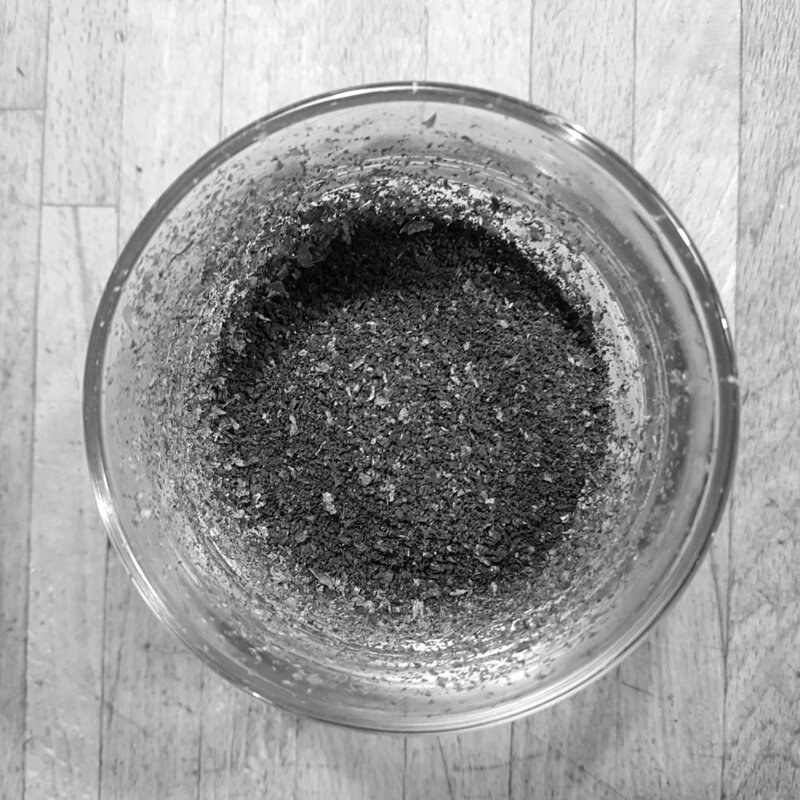 As a coffee roaster, it was always a most enjoyable coffee to work with – complex and subtle, but also malleable and forgiving. Costa Rica gets overlooked sometimes due to its proximity to flashier coffee countries such as El Salvador and Panama, but it’s a dependable, sometimes surprisingly nuanced, coffee origin. I was excited to try someone else’s take on the Tarrazú region. The coffee showed up in a simple brown pouch, with Mr Eion’s distinctive logo and some nice in-depth tasting notes on the front. The Tarrazú region is located in central Costa Rica, just to the south of San José, the capital. 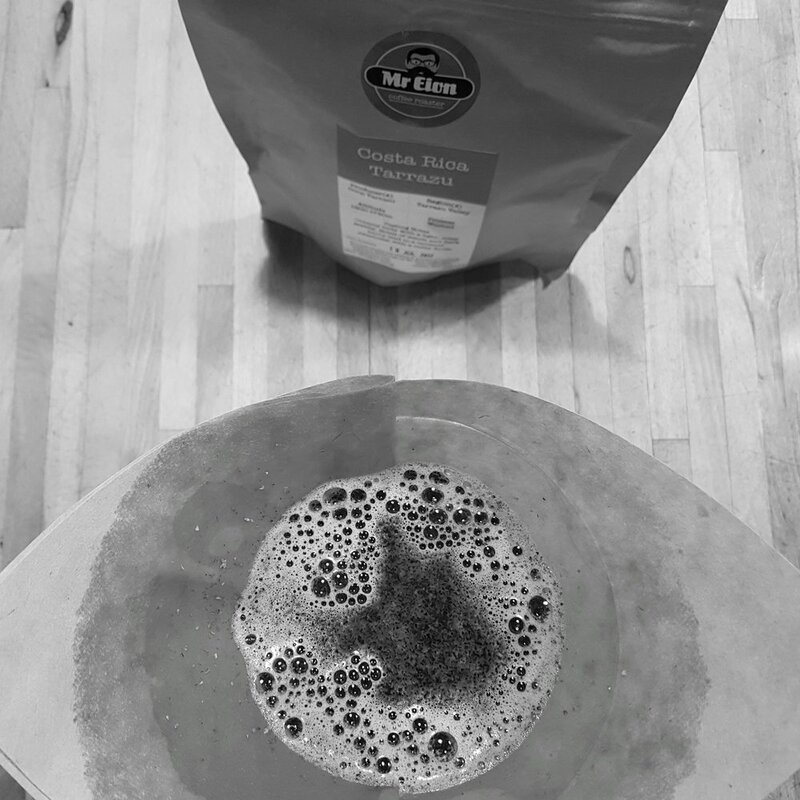 This coffee was grown by the Coop Tarrazú between 1600 and 1750 metres above sea level (info tip: generally speaking, the higher the altitude, the better the coffee). The dry fragrance was classic Costa Rica: roasted peanuts, milk chocolate, a hint of tobacco; deep and lovely. 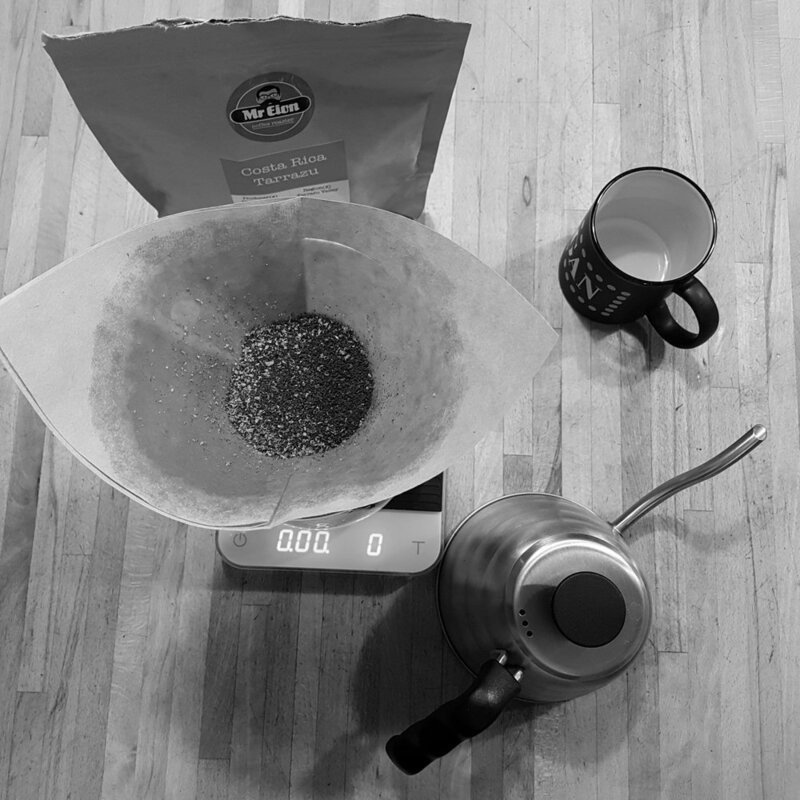 When brewed, via Chemex, the aforementioned chocolate gave a nice bass note, alongside a subtle, lemon-zest brightness and a smooth, creamy body. The finish was clean and dry, with a sweetness akin to caramel and a final, nutty refrain. 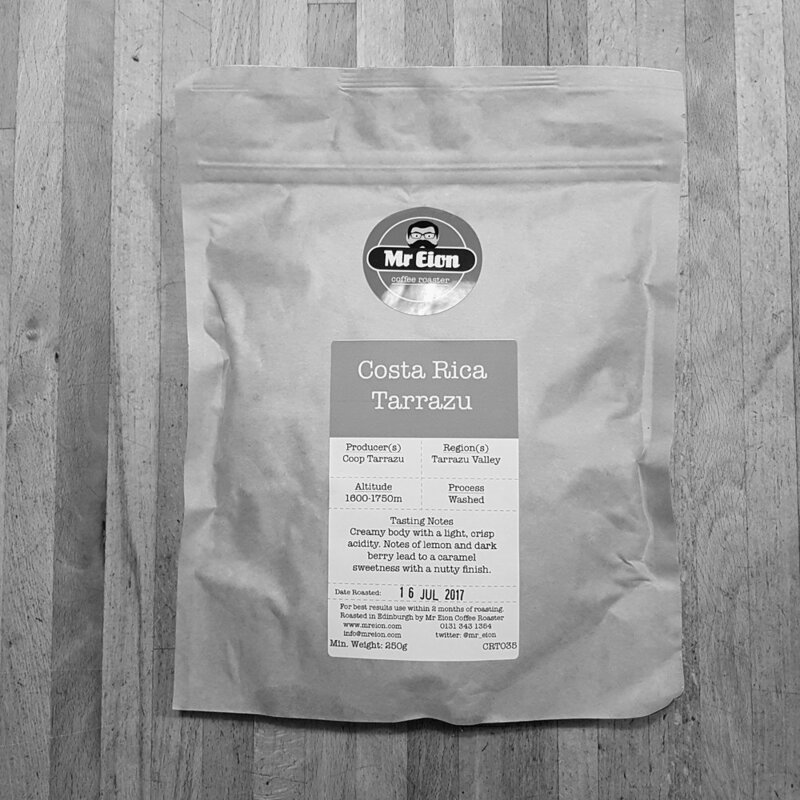 It is worth noting that this specific coffee is currently not available through Mr Eion’s website, so you’ll have to stop into the store to pick up a bag (or be annoying like me and request it specially). Costa Rica coffee can best be described as “crowd-pleasing”. You can offer it to your brother-in-law who drinks his coffee with milk (hi Jonas!) and be sure he won’t run for the hills, but it’s also refined enough that even the most experienced palette will find layers of enjoyment. This universality, in the end, is the sign of a good coffee, and I’m glad to see Mr Eion’s success continuing with a prospective second location coming to the Marchmont area of Edinburgh. This Costa Rica Tarrazú is another sign that the company is on the right track.